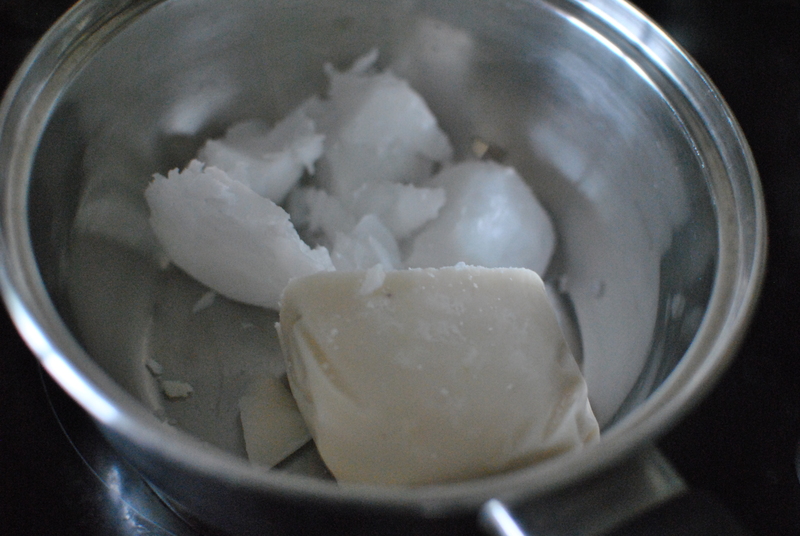 1.Melt coconut cream with coconut oil on a very low heat (use not only the creamed coconut from the box, but also half of the oil that’s there and add another 3 Tbsp of coconut oil). 2. 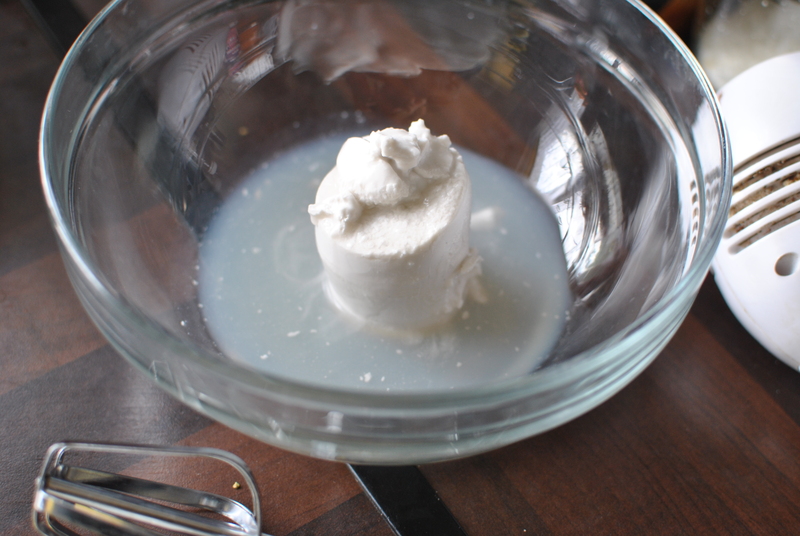 Whip coconut milk using an electric mixer. 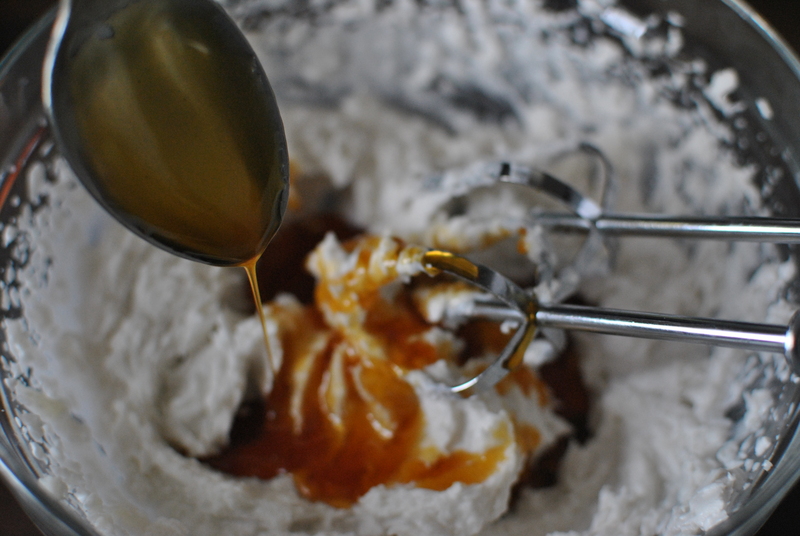 Add coconut syrup, 2 Tbsp of desiccated coconut and melted creamed coconut. 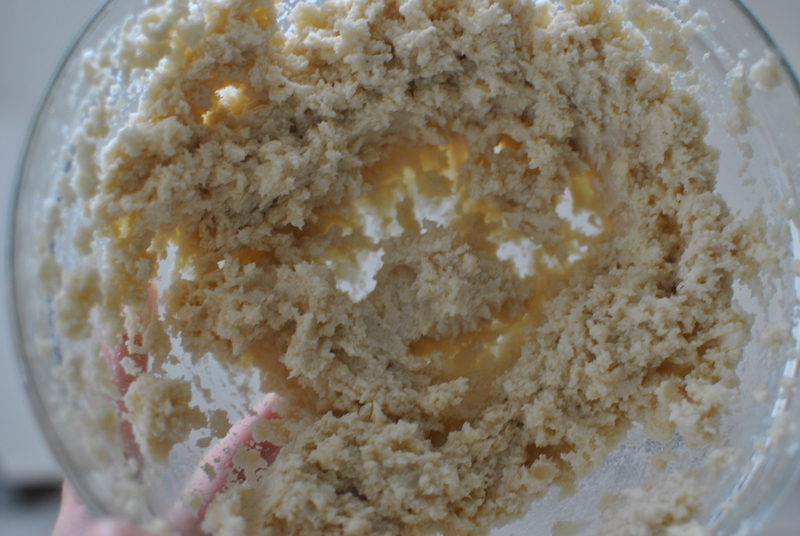 Mix until you attain a creamy consistency. 3. Place in a freezer to cool for aprrox. 30 min. 4. Roll into balls about a size of rafaello. 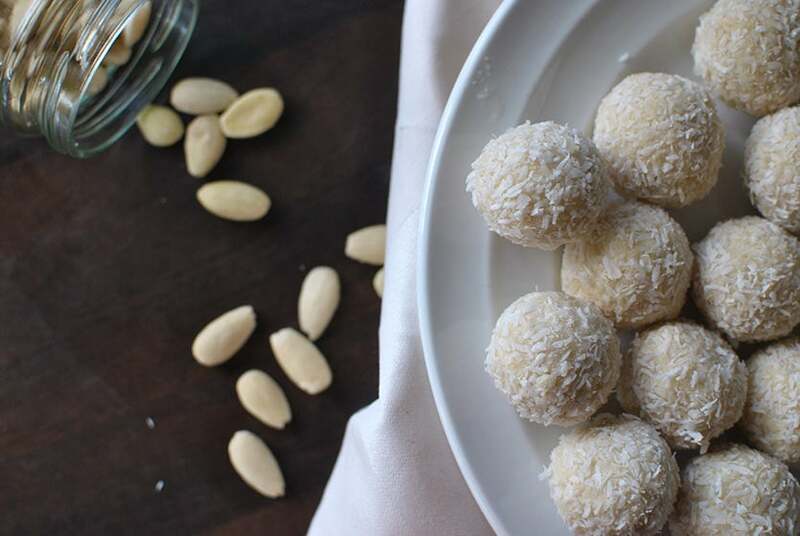 Take almond and force it into the centre of a ball. 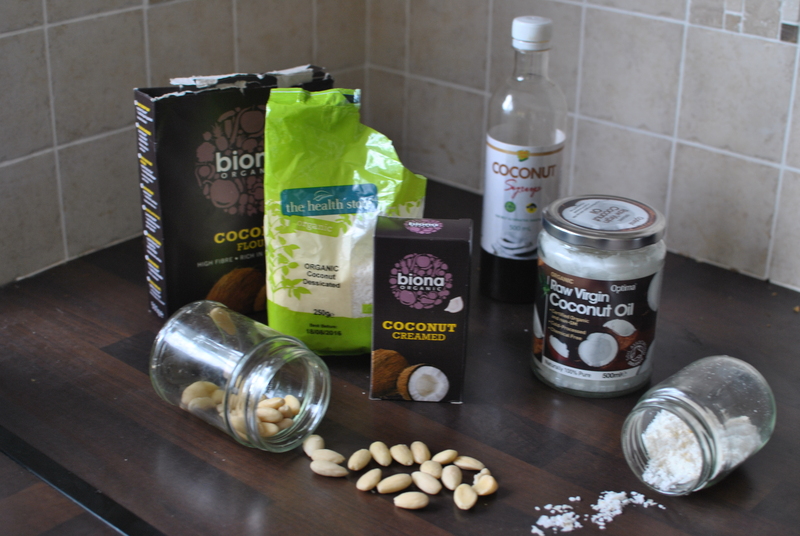 Put the remaining desiccated coconut in a bowl and roll each ball until it’s thoroughly coated. 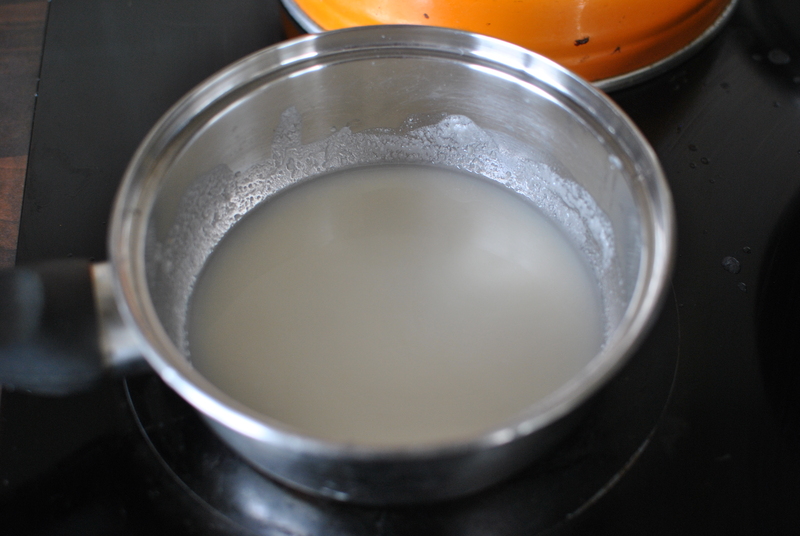 Taste best after refrigerating for 4 hours.